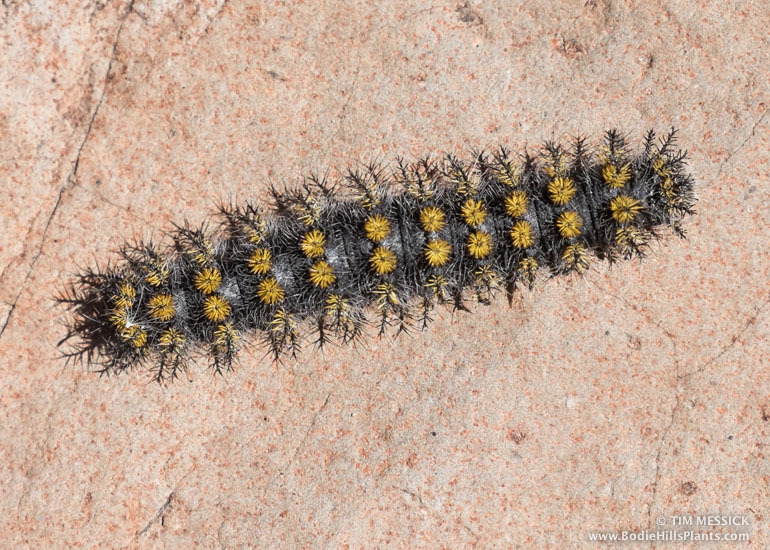 Hemileuca Larvae: Do Not Touch! On a recent hike near Carson Pass in Alpine County, I encountered this critter crawling vigorously across a dry swale in the subalpine dwarf-shrub steppe at 8,900 feet. 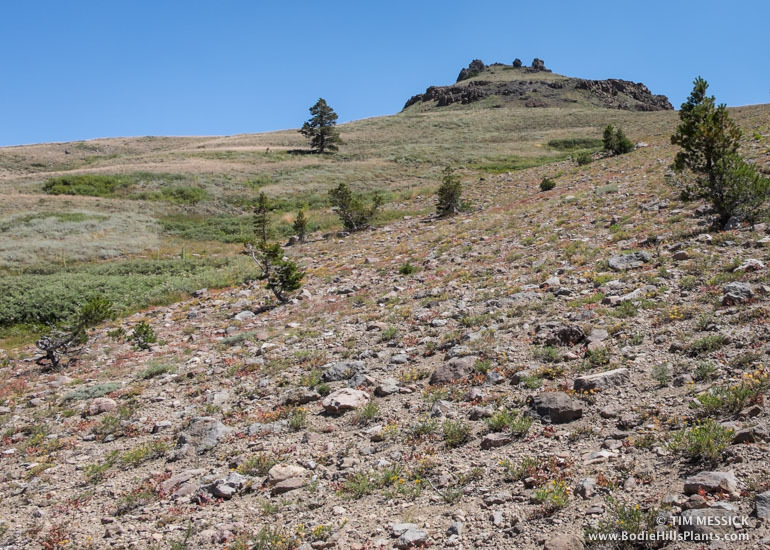 It was about the size of my little finger and was about to disappear under an Eriogonum, so I coaxed it onto a stick and moved it to a large rock, where I took pictures while it resumed its ascent toward Red Lake Peak. The spines all over its body made it look about as fun to handle as a cholla cactus or porcupine, so I used the stick to prevent any direct contact. That was a good thing, because on doing an image search in Google and checking further on Butterflies and Moths of North America and Bug Guide, I narrowed it down to Hemileuca hera, the Hera buck moth or Sagebrush sheep moth. The larvae of Buck moths and the related Io moths (both Saturniids) are well known for the extremely painful, persistent, burning, swelling stings produced when the spines inject their toxin into your skin. Hemileuca hera has been seen in the Mono Basin and it ranges across much of the Intermountain region, so it is likely to be present in the Bodie Hills. The larvae feed on sagebrush. The adults have striking white and black patterns on their wings.